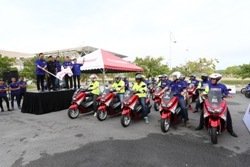 Putrajaya, 30th October 2016 – The “2016 Yamaha Bikerz Moto GP Riding Convoy” flag-off ceremony to Sepang International Circuit (SIC) was successfully officiated by Dato’ Jim Khor, Managing director of Hong Leong Yamaha Motor (HLYM) Sdn Bhd. The event was officiated at Dorsett Hotel, Putrajaya, with the participation of nearly 800 riders from Peninsular Malaysia. 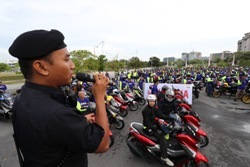 The success of the convoy was a result of extensive preparations and collaborative effort between HLYM and Polis Di-Raja Malaysia (PDRM), with the sole purpose of ensuring the safety of the convoy in order for its participants to fully experience the exhilaration of the Moto GP event.. 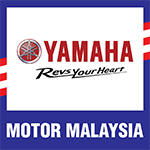 This year, in conjunction with the Malaysian round Moto GP, HLYM had organised a big convoy event to engage with its loyal Yamaha customers. The purpose was for them to experience the enjoyment of riding, the excitement of watching one of the biggest motorcycle racing events of the year, as well as to be part of the camaraderie that it creates. 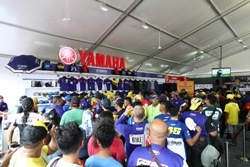 Turn-out for the event was overwhelming, and the flag-off point was filled with a sea of Yamaha fans who had donned the trademark Yamaha Racing blue bodywear with the iconic Rossi yellow right arm sleeve. A large range of Yamaha models was on show, and the event saw the participation of more than 20 riding clubs and many enthusiastic individuals in the convoy – a gathering of one of the biggest mixed-model rides in HLYM’s history with nearly 350 bikers from the central region, 400 bikers from the northern and southern regions, and 50 bikers from the East Coast. Proud Yamaha owners and Moto GP fans across the nation also saw participants from all corners of the country including those from Johor Bahru and Kuantan, and as far away as from Kedah. Dato’ Jim Khor expressed his sincere gratitude for all the loyal Yamaha fans who braved the arduous miles to attend the convoy. This year’s Yamaha Bikerz Riding Convoy was telecast live on the Yamaha Events Facebook page. 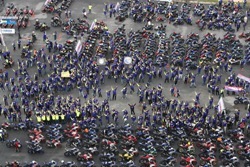 The telecast featured the gathering of Yamaha fans, the ensemble of bikes during the gathering, and their anticipation towards the flag-off moment. It also captured the fun and thrill of the ride, and the sense of accomplishment during the convoy’s arrival at the designated Yamaha parking location in SIC. The “2016 Yamaha Bikerz Moto GP Riding Convoy” had been a monumental success towards furthering HLYM’s customer engagement strategies. “Passion” and “Exhilaration”, two words most associated with the Yamaha brand, were prominently present on the faces of owners who proudly showcased their motorcycles.